This course is designed to help you expand your thermal testing business to include infrared moisture surveys. Providing this service will help your clients understand the source and extent of hidden water damage and moisture that could lead to significant structural damage or microbial growth. 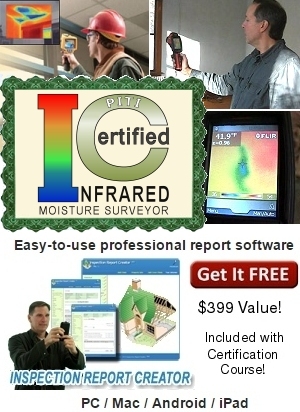 A professional infrared moisture survey report can be used to help guide repair efforts, to aid those writing mold remediation protocols, or to document expensive water damage claims for insurance policies. This course will teach you the use and operation of infrared cameras, how to conduct proper thermal surveys, the process for investigating and positively identifying moisture using infrared, and how to prepare and deliver a professional infrared moisture survey report. 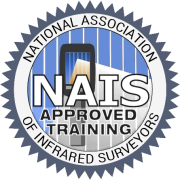 A previous Level 1 Thermographer certification is recommended, but not required. You do not need an infrared camera to take this course. This is one of the only infrared moisture survey courses available anywhere, and provides outstanding infrared training for an excellent value. Written in easy-to-understand language, thermal training is accompanied by many examples, videos, and practice exercises to help you become familiar with the concepts. The course includes a quick-start DVD that will help guide you in starting a successful infrared business. 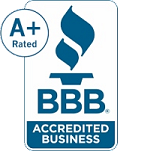 Benefits include Infrared Inspection Report Creator to produce quality reports for clients, a pre-survey agreement and our toll free support to help you get started. When you finish the course and pass the final exam, you will be a Certified Infrared Moisture Surveyor and will possess the knowledge and skills needed to start a full or part-time business, or expand your existing infrared business. Online Course Access and optional back-up CD, Infrared Business Start-up DVD, Online Flashcards & Testing, Moisture Survey Template, Infrared Moisture Surveyor Certification, Toll Free Student Support.